Not just a coin replacer. But a complete coin overhaul. Ever wonder how an economy could survive on gold? Why are there no silver or copper coins? Why are there septims in Nordic and Dwemer ruins? This mod aims to fix those problems. Feel free to make any compatibility patches or addons for this mod. If you want to use the script, meshes and textures please make sure to credit those who made them, you can find out who those people are in the Credit and thanks section in the main mod page. Also if it is not a mod resource make sure to get permission first. 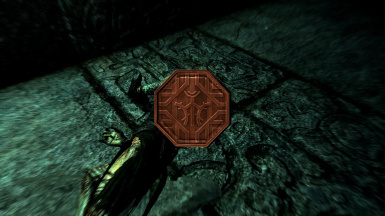 InsanitySorrow for creating the Nordic and Dwemer coins. And for allowing me to use them in my mod. <br /><br />SpiderAkiraC for creating the textures for the Copper and Silver septims. <br /><br />Schatten for creating the script that controls my coins. <br /><br />ladyonthemoon for testing my mod. <br /><br />Xander9009 for helping with an older version of my script. ruins? This mod aims to fix those problems. There are four versions of this mod! 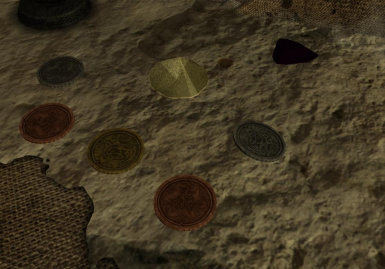 Coins of Tamriel, Coins of Tamriel V2, Coins of Tamriel V3 and Coins of Tamriel V4. 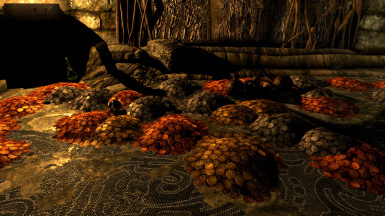 Coins of Tamriel just adds in the copper, silver and gold septims. 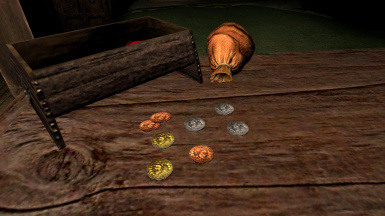 Coins of Tamriel V2 is the same as Coins of Tamriel but it also adds in the Nordic and Dwemer coins that can be sold to merchants. Coins of Tamriel V3 and V4 only adds in the Nordic and Dwemer coins. 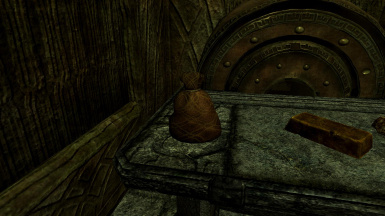 But Coins of Tamriel V3 has Copper, Silver and Gold versions of those coins, where as Coins of Tamriel V4 only has Gold versions. In Versions 1 and 2 It replaces the default gold coin (gold001) with a copper one. And then adds in new silver and gold coins. But unlike other coin mods you don't sell my coins to gain their value. When you pick them up you will instantly gain their value, just like the default coin (Read how it works). I also made some dialogue changes. So now for instance when you go to buy a house instead of it saying (X amount gold) it will instead say (X amount septims). 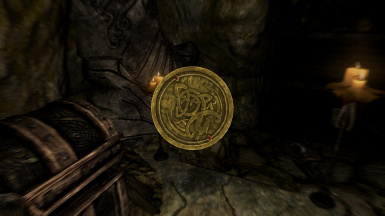 Versions 3 and 4 only have the Nordic and Dwemer coins. The Silver and Gold Septims and run by a script (unless you are using the script-free version). 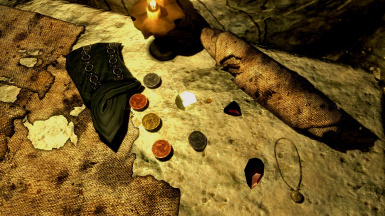 When you pick up a Silver or Gold Septim the script will run and delete the Silver and/or Gold coin and then add its value in Coppers to your inventory. The Reason behind this is because Skyrim was never intended to have more than one form of currency. So you are unable to add in coins that work the same way as the default gold coin. Thus I had to use a script to make it work the way I wanted it to. 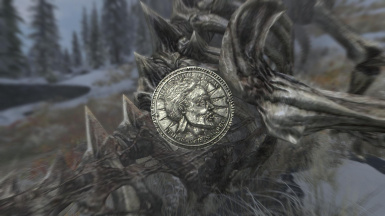 Basically just think of the Silver and Gold Septims as coin purses. As for the Nordic and Dwemer coins. 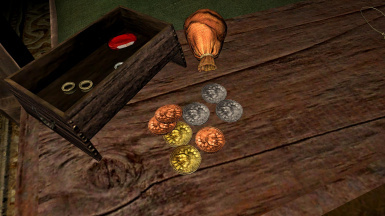 Those coins are clutter items and need to be sold to merchants in order to gain their value. I've decided to make a script-free version of this mod for those who don't like the idea of a script running when ever they pick up a silver or gold Septim. 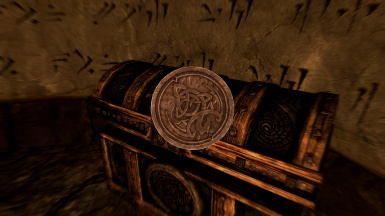 So now if you are using the script-free version you must sell the silver and gold Septims to merchants, just like the Nordic and Dwemer coins, in order to gain their value. Septims can be found in most places. 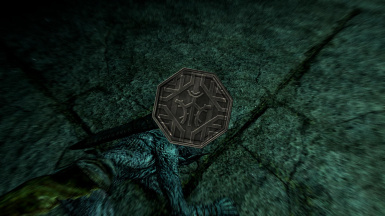 Nordic Coins (aka Alessia) can be found on Dragons, in Nordic ruins and on their inhabitants Draugr. Dwemer coins (aka Kagrenac) can be found in Dwemer ruins and on their inhabitants Falmer. I named the Nordic coins Alessia for two reasons. 1: it was suggested to me by ilikecheese1337 and I liked that name. 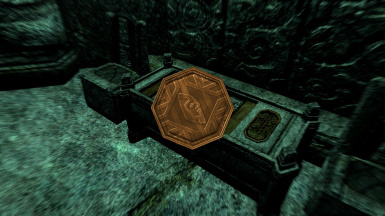 As for the Dwemer coins. I picked Kagrenac because. 1. I liked that name. And there are only so many names of famous Dwemer. 2. Dumac was already being used. You can read up on Kagrenac here. 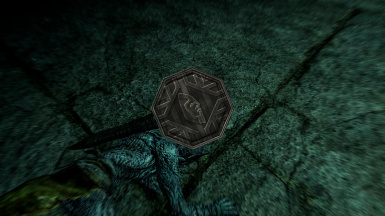 If you are using a mod that adds in new creatures, such as monster mod or Immersive Creatures, you may not find the correct coins on them. 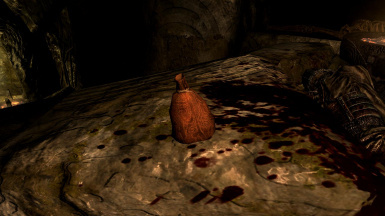 For instance, you may find copper septims on a draugr instead of Copper Alessia. 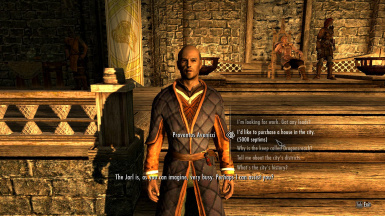 If you are using a mod that adds in new NPC's, like Interesting NPC's, the dialogue changes added from this mod may not affect them. 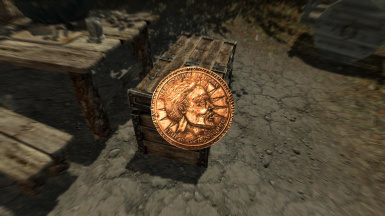 This mod will conflict with any mod that changes how much coin you gain either from looting or from quest rewards. If you are using a mod that changes those things put that mod below mine and it will override my changes. 1. Click the 'Download with manager' button on top of the file. Or download manually and add it to the NMM. 2. COT can be activated in NMM's mod list when the mod downloaded fully. Double-click on the mod to start the installation. 3. Follow the steps in the FoMod installer. I recommend putting this mod near the bottom of your load order. 1. 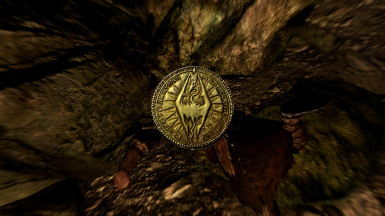 Highlight Coins of Tamriel mod. 2. Select deactivate selected mod. 2. Delete mesh folder CoinsofTamriel. SpiderAkiraC for creating the textures for the Copper and Silver septims. Schatten for creating the script that controls my coins. ladyonthemoon for testing my mod. Xander9009 for helping with an older version of my script.